How Much Does Caribou Coffee Pay? Does Caribou Coffee Drug Test? Careers at Caribou Coffee are a fun way to get your caffeine fix and be a part of a company that supports ethical, environmentally sustainable coffee farming. Caribou Coffee aims to give customers peace of mind that their morning pick-me-up also lifts up the community it came from. Do Good is the section of Caribou Coffee that focuses on charitable work and volunteering. Through this organization, the company routinely scrutinizes its processes and supply chain. They do this to reduce waste and promote recycling. They also find ways to give food to vulnerable people and support employees who want to volunteer. It all started on a hike up Sable Mountain in Alaska, when the founders got a glimpse of a herd of caribou under a clear blue sky. Something about that vision inspired them. They came back down from the summit to start a coffee company. It began in a small shop in Minnesota and spread around the world. If that sounds like something you want to be a part of, read on to discover what positions are available at Caribou Coffee, what the application process is like, and how to ace your interview. You can apply for Caribou Coffee directly through their website’s careers page. From there, you can browse through the openings they currently have available. Find one that looks like a good fit for you. When you’re ready to apply, you have two options. The first is to create an account with Coffee and Bagel Brands and use their HR platform to apply directly to the company. You can find this by following the “Apply” link from the page of the job you’re interested in. Alternatively, you can apply via LinkedIn. If you’ve already spent some time setting up a LinkedIn profile, this is a nice way to reduce the amount of form-filling you’ll need to do. Caribou Coffee strives to create a fun, welcoming atmosphere in all of their stores. Team Members are a huge part of making that happen. Team Members greet customers when they walk in and do their best to get to know regulars’ names and favorite drinks. Getting to know customers can be an enjoyable part of this job. Team Members are responsible for taking orders, working the cash register, and preparing amazing drinks and bagels. They are also expected to help keep the store clean and organized during downtime. If you enjoy making new friends and have an outgoing personality, this could be a great entry-level position for you. In addition to general friendliness, hiring managers at Caribou value a commitment to precision and excellence in everything you do. It all starts with the Bakers. Bakers arrive at the store very early, sometimes they need to wake up as early as 2 a.m. They get the bagels and other bakery treats ready. If you’re at your best early in the morning, this position will give you a chance to put your best foot forward at the time when you’re most effective. Bakers need to be able to communicate well with other team members and have solid basic math skills for measuring ingredients and taking inventory. This position is a bit more physical than some others, and you’ll need to be able to lift and carry trays of delicious snacks and work around hot ovens. Becoming a Baker is a great idea if you get a sense of fulfillment when you make something yourself or if you enjoy working in a kitchen. To apply for this role, you’ll need a high school diploma or the equivalent. You’ll also need one year of experience working in a restaurant, retail, or other customer service position. Shift Leaders do all the same tasks as Team Members. They make coffees and teas, serve up muffins and keep the store and the atmosphere cheerful. In addition, Shift Leaders have a few leadership responsibilities to keep the store running smoothly. Since there will always be times when the Store Manager is not there, the Shift Leader is appointed to be in charge in the Manager’s absence. That means opening and closing the store, keeping Team Members on task, and handling any problems that come up. If a customer has a complaint or a piece of equipment breaks, the Shift Leader is in charge of finding a solution. Good candidates for this position will have excellent communication skills and attention to detail. If you are good at helping other people do the best that they can do, this might be a great role for you. You’ll need a high school diploma or equivalent and a bit of experience to be considered for this position. Imagine this: You load up the car with goodies, listen to an audio book or your favorite tunes while you drive, make someone’s day by delivering coffee and bagels, and repeat! This is the life of a Catering Driver. When people need caffeine and carbs, the Catering Driver makes it happen. You’ll need a driver’s license and a vehicle for this, of course, and a decent sense of direction. You will also need to be a safe driver. It’s not that speed isn’t important, it’s just that safety and not spilling the coffee are more important. You’ll need to be able to lift and carry things to load the car, and to fill out documentation accurately. This is a great position for someone who enjoys driving or who likes to listen to music or podcasts on the job. You’ll need a flexible schedule; some shifts start as early as 2 a.m. You’ll also need to be able to work mostly independently. Store Managers are ultimately in charge of the store. They take care of opening and closing each day, completing documentation, and hiring and training new employees. If there’s a problem the Shift Leader or Assistant Manager needs help with, it’s up to the Store Manager to figure out how to handle it. Store Managers monitor inventory and food costs and keep the store as profitable as possible by trying to grow sales. They are the connection between corporate management and the local team of employees at each store. Assistant Managers help Store Managers with coaching and developing Team Members. Since they are able to perform most of the same tasks as the Store Manager, they get experience with a variety of essential parts of running a business. Assistant Managers might start with a limited range of responsibilities and take on more as they show that they’re ready for it. For both of these positions, you’ll need a high school diploma or the equivalent and a year or two of experience. You will also need a Food ServSafe Certification within 30 days of starting employment with Caribou Coffee. On average, Team members make about $9.00 an hour and Store Managers earn about $43,000 a year. Benefits like insurance, retirement options and tuition assistance are available based on how long you’ve worked there. Caribou Coffee offers a few unique benefits to their employees such as adoption assistance. For comparison, at McDonald’s the average hourly rate for Crew Members is $8.00-$9.00 an hour, and General Managers can be paid up to $68,000 a year. 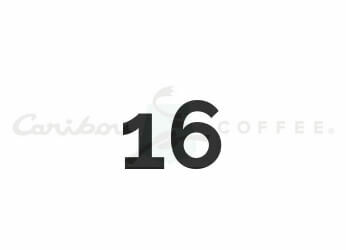 Opportunities to work at Caribou Coffee start at 16 for Team Members. All other positions require applicants to be at least 18 years old. It’s up to the Store Manager, so some locations may be more likely to drug test than others. In general, though, it’s a good idea to be prepared for a drug test and a background check. If you need to do a drug test, it will be a standard one. Remember to have a photo ID with you for identification. Why Do You Want to Work at Caribou Coffee? You can use this question to show your interviewer that you understand the mission of Caribou Coffee and you are ready to contribute to it. First, have a look at their core values. Then, think of some ways you could use those values in your own answer. Maybe you want to work in a place that has a fun, accepting vibe, or maybe you appreciate their commitment to quality. If you just love the smell of coffee, it doesn’t hurt to mention that, too. While this may sound like a completely unrelated question, the way you answer will give your interviewer some insight into how you might interact with customers. They’ll want to see you smile and have a little fun with it. There’s no set word count for this, but an answer that is too short may seem unfriendly and one that is much too long raises red flags, too. Two or three sentences is probably the sweet spot for an ideal answer. If you’re struggling to add a little more to your answer, remember to explain why you like to eat Oreos that way. Pick an Animal to Be and Explain Why. This question is a great opportunity to showcase your best qualities. Start by thinking of something about yourself that you want to highlight. Then, connect that quality to an animal in some way. You can pick a general type of animal, like “a dog”, or you can choose a specific pet you know personally, like “my betta fish named Gerald”. No matter what animal you choose, don’t forget to be confident in who you are.